That privatised the commons: trespasser, keep out. Old rights of way were barred and lost. No fields to walk on summer days. Place of shelter and diversity. Refuge found, a corridor of shade. Was ripped and grubbed apart. Monotonous for profit and efficiency. Nowhere now to feed or hide. No more a haven for the wild and free. 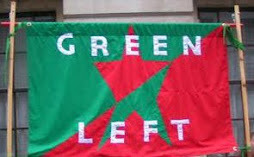 Green Left is an anti-capitalist, ecosocialist group within the Green Party of England & Wales. Membership is open to all GPEW members, (see back page for details). All views expressed here are those of the author and not necessarily of Green Left. 2015…and along comes Corbyn. Or to put it more accurately, considering Corbyn had been steadfastly supporting all the issues we stand for throughout his life, along comes the vehicle for a national movement that can get behind Corbyn via a Labour Party leadership election. As People’s Assembly activists, many of us recognised what this opportunity meant and got behind Corbyn. Here in Pembrokeshire, some long-standing ‘Old Labour’ members didn’t at first realise what was happening and bought into the myth that a ‘left wing’ Labour Party would be ‘unelectable’. But the Tories had inadvertently put in the groundwork themselves and created a mass movement ‘in waiting’. The work we had been doing here as campaigners, even back when socialism was still a dirty word, meant that as a movement we were ready. We had planted the seeds of a movement that with the influx of pro-Corbyn activists we could now combat the Tory narrative and mobilise like never before - in rural Pembrokeshire. Demos got bigger and better attended, once a few of us had been fending off right-wingers on social media. Now a new contingent of online debaters took over and freed key activists to organise! We held cross-party meetings where all left of centre party reps agreed to unite efforts against the Tories' cruel, ideological austerity policies. 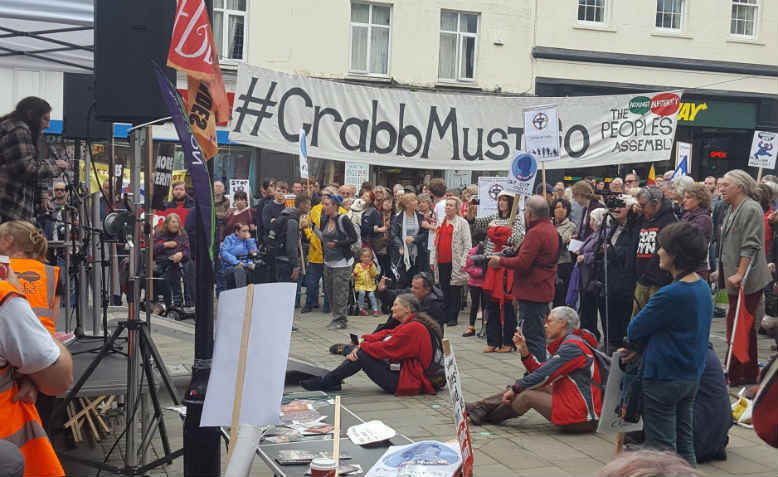 Some Comrades from Momentum West Wales got in touch about putting on an #UnseatCrabb event as part of Owen Jones’ Unseat campaign, so we adopted the strategy of ‘build it and they will come’! We advertised it as an event that would be the biggest political rally Haverfordwest had seen since the Suffragettes’ movement! We had two Canary pieces covering the event! Bex Sumner (Canary UK editor) even attended the rally and covered it personally! We hosted a People’s Assembly comedy night titled ‘Stand Up Against Austerity’, Francesca Martinez helped us and Chris Nineham from Stop the War came from London to speak and host the comedy night. Mark McGowan [query spelling??] came and did a stand up performance and many local comedians came and performed. Everyone was supporting the day’s activity! We also took a #CrabbMustGo banner on a tour of Haverfordwest and hit social media by storm. Creative activism in action! took a team or five of us to do it but we were seen on social media pages all over Britain! And now… progressive activists from across the political spectrum, Greens, Labour, Plaid and non-Party are all working together, we’re ready to go at a moment’s notice. When May sent the bombs into Syria in April we mobilized a 200 strong demo with just three days’ notice. Then, following a disgusting incident of homophobic hate speech where some fanatics were trying to hold a Transphobic hate meeting, we joined forces with the new Pembrokeshire LGBTQ+ group and got 100 people on to the streets of Fishguard with just 24 hours’ notice, and we closed down that meeting! Filling the local press with coverage of our demo, showing that as a County and as activists we can now act and act..
We are going to hold a ‘Rural Activism’ & ‘Creative Activism’ training weekend in a few weeks, we have activists from Cardiff, Bristol and London wanting to get involved and supporting the event in solidarity. This could  form the basis for a national ‘Rural Activism’ training roadshow.In Pembrokeshire we have built a movement from the ground up. We will get stronger, more unified and organised as more activists join forces with us. Getting Corbyn into power is an important objective we all want to see and are working towards, but it will not be the end of the battle. It will be the beginning, and that is when we will be needed more than ever. As we have seen  recently with the antisemitism campaign against Corbyn, the right wing within Labour will align with the establishment, close ranks and do anything to destabilise a Corbyn Government. We have to keep building the movement not just to be ready, but one step ahead. The extra-parliamentary movement will be vital, in the uncertain times ahead to keep making the gains necessary to restructure our society for the benefit of all and bring down 40 years of neoliberalism. Here in Pembrokeshire we can promise that we will be a step ahead, and playing our part in that struggle! So to all urban and rural activists,we send greetings and solidarity from Pembrokeshire with love! In July 2017 the cabinet of Haringey’s Labour council, against widespread and mounting opposition, decided to transfer much of its land and housing assets, and all of its commercial property, to a private partnership with Lendlease, the multi-national property developer. The Haringey Development Vehicle (HDV), had it gone ahead, would have been the biggest sell-off of local authority assets in UK history. One year later, in July 2018, a new cabinet reversed this decision and killed off the HDV. That the HDV is now dead is cause for celebration, not just in north London but across the UK. It became a touchstone in the usually very unequal battle of communities against property speculators intent on re-shaping large parts of our cities, with the connivance of local authorities, building more expensive housing for sale and rent while demolishing social housing and decanting poorer people – and in the process creating havoc to local environments. The HDV was reversed only after a long grass roots campaign – StopHDV - had mobilized support across political parties, trade unions, community groups, tenants and residents associations, by public meetings, fund-raising gigs, street stalls, social media promotion, press and media briefings, demonstrations, marches of over 1,000 people, and lobbying at council cabinets and meetings. At the same time we initiated a Judicial Review in the High Court, preventing Haringey’s then Leader, Claire Kober, signing any contract on the HDV while it was ultra vires. In the six months between July 2017 and May 2018, most Labour candidates selected for the local elections were against the HDV, and their manifesto promised to stop it. Greens and LibDems continued to oppose the HDV. The political struggle has resonated across the country, at national level in the Labour Party, in mass media, and in the trade press. 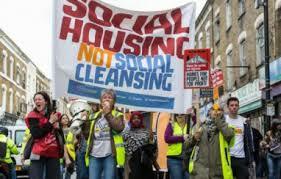 The urban gentrification agenda, privatization of public space, and decimation of social housing – facilitated by Labour authorities, notably Lambeth and Southwark where Lendlease have been rampant – is at last being held up to the light and resisted. The legal questioning of this process continues, as we have appealed the High Court judge’s decision which ruled that our challenge was ‘out of time’. A formal Appeal hearing is awaited, while Lendlease, undoubtedly miffed at losing Haringey springboard, are taking Haringey Council to the High Court for daring to call time on their business with the HDV. There could be more heard on the precedents of local authorities becoming embedded in corporate money- making and ignoring local democracy. The ramping up of land values, desecration of urban planning constraints over recent decades, and unmitigated corporate greed, made ordinary city living unaffordable now to many working people. The urgent need for a Land Value Tax, long proposed by Greens and now at least being considered by Labour, is vital if we are to do anything about what the geographer Danny Dorling calls ‘peak inequality’. This is re-making town centres in the image of go-to consumer experiences. But this corporate vision for the few and nightmare for the many can be challenged, and that resistance can alternative locally-based planning for neighbourhoods. We need an end to the Right to Buy which has so drastically reduced the amount of social housing, a re-start of council house building, rent control, tenants charters, and proper consideration of refurbishment but not at the expense of wholesale demolition. Tis must include the rights of people living there to co-design and to look after their own built fabric and physical environment. In London there are green shoots in this direction such as Our Tottenham and Lambeth People’s Plan. 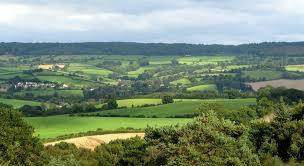 The community land trust movement in England is still in its infancy. However, examples like the Camley Street local development proposal in Camden, and on a larger neighbourhood scale, the St.Anns Redevelopment Trust [StART] in Haringey, have convinced the London Mayor to purchase the hospital site which the BEH Mental Health Trust was about to sell to developers. Their plans are dependent on maximum local support for 800 new houses with mixed income occupancy, environmental sustainability, provisions for vulnerable residents, and stewardship in perpetuity. The new Haringey council is setting up its own company and a community benefit society to secure housing for the many homeless people in the borough, and also talking to the land trust at StART about how partnership with this community initiative can complement more and better municipal housing provision and stewardship. That’s a good start. It is not often you can say you attended a Green Party meeting and were inspired. But it did happen to me on a tropical July day in London. Guest speaker Paul Turpin spoke of how the campaign to save Sheffield`s street trees had grown and Tree Action Groups had formed all over the city involving over 10,000 people. 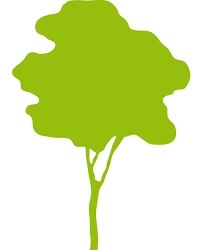 A leaflet ‘It`s About More Than Trees’ made clear that the totally unnecessary felling of thousands of healthy trees was the result of the City Council`s dodgy PFI deal which will hand over £2.2 billion to Amey, a profiteering private corporation. Arriving at the meeting after traipsing through the hot city streets,  the shade of the few trees en route was much appreciated. The next day travelling to Hampshire on yet another scorching day it brought home to me just how much we need our green spaces and how much better we feel for being around trees. I was born in a Nissen hut surrounded by trees during the heatwave of July 1947 as my dad was a squatter. After his WW2 service in North Africa, Italy and at Dunkirk, we joined other homeless families in taking over a vacant army camp on Heckfield Common near Reading. In 1950 we were all re-housed on a brand new council estate with good- sized gardens and streets with wide grass verges planted with trees. That sounds very like the Sheffield estate Paul told us about where the chainsaws have been busy. He said it was a vibrant community, although grimmer now after the Thatcher and Blair years: a reminder that the historic Labour victory in 1945 led to environmental benefits as well as the NHS. The Sheffield campaign has been well publicised but trees are under threat in many parts of the country. And it is easier for councils in smaller towns to do it on the sly. With the usual reasons of cracked pavements, diseased trees, leaf clearance savings (for the ratepayer) etc they will remove two or three trees (out of say a dozen) in a small street and it won`t seem a big deal. But they will be back later to chop down a few more. We need to be on our guard and find out what our local council is planning. For advice on running a local campaign we could do no better than learn from Sheffield. On Friday 13 July 2018, Child Poverty Action Group’s Senior Communications and Campaigns Officer asked me to write to my MP: ‘Half of all children in the UK live in families who will receive Universal Credit when the rollout is complete.’ Yet that matter, along with the notorious failings of Universal Credit (UC) , was completely overlooked at the London Green Party hustings for Leader selection, and only addressed by one candidate at the Deputy Leader selection hustings . UC is a ‘digital by default’ system that advances surveillance of poor people and perhaps back door to introducing of ID cards, whilst making life harder for people with literacy or learning difficutlies and/or computer access problems . Even as a person with above average computer-literacy, my own learning difficulty would make it extremely difficult to apply for UC online. Yet the following shows how access to and understanding of Information Communication Technology helped me regain my benefit entitlement and composure in the face of a Housing Benefits ‘administrative error’. I rarely print from my ‘multi-function printer’ now, but access to one helped me ‘turn the tables’ on an ‘administrative error’. In July 2018, I received a letter dated 10/7/18 from Herefordshire council stating that my Housing Benefit had been suspended from 10 July because they had ‘been advised’ of other people living at my address that I’d not told them about. The letter demanded, within one month, details of everyone living in my home if I wanted restoration of my Housing Benefit (HB). In response, I scanned a copy of that letter for e-mail attachment and replied by e-mail to Herefordshire HB and copied in my ward councillor and landlord, informing them that there was no-one else living at my address and therefore there were no such ‘details’ for me to report. I was extremely concerned that the HB office  gave no clues as to the source of that ‘advice’. Due to my ward councillor’s prompt intervention, Herefordshire HB responded by the end of the working day, that they had confused my address with another and my HB had been ‘unsuspended’ and I would get a letter confirming that. The resulting ‘form letter’ made no acknowledgement of the source of that error and laid down a standard text re the claimant’s obligations. Form letters  generally do that. After raising this point with my ward councillor by e-mail, and mentioning the fact that HB are often dealing with economically vulnerable adults, I got an e-mailed response from the ward councillor, once again apologising on behalf of the council for the error. But this is appended to all Herefordshire council e-mails:, therefore, no public apology from Herefordshire Council, no public admission of error or thanks to the claimant. The UN Special Rapporteur on Extreme Poverty will visit the UK from 5 to 16 November and has expressed an interest in central and devolved government use of algorithms, noting: that these ‘can have major negative human rights implications, especially for the poor.’. What will he uncover and will the Green Party take note? 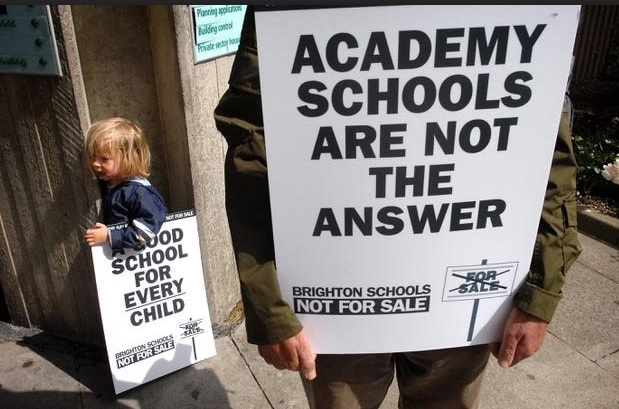 After initial optimism over Labour education policy, campaigners and trade unionists have become frustrated by the failure of Labour to make a solid commitment to the abolition of academies and free schools and their reintegration into the local authority school system. Labour will not waste money on inefficient free schools…we will…oppose any attempt to force schools to become academies. Labour will ensure that all schools are democratically accountable, including appropriate controls to see that they serve the public interest and their local communities. So it appears that, under Labour, academies and free schools will remain but with reform of their governance. There is no detail of how they will be made democratically accountable, what constitutes ‘appropriate controls’, nor who will decide what those controls are. Angela Rayner (Shadow Secretary for Education) was the speaker at the launch of Birmingham Labour Party’s local election manifesto on 27 March 2018. In question time I asked her if she would give a commitment to end academies and free schools and return them to a democratic local authority system (and also end grammar schools). The question was applauded by the 60 or so Labour supporters there but she avoided giving any commitment, saying that the focus of the NES (National Education Service) is on values not specific policies and ‘what is important is a good local school’. It is a repeat of New Labour’s mantra of ‘standards not structures’. ‘Standards not structures’ was what led to the over-centralisation of education policy under New Labour with increased powers give to the Secretary of State, the imposition the Literacy and Numeracy Strategies and the extension of testing in primary schools. This is a system that continues today with high-stakes testing narrowing the curriculum and causing stress to both children and teachers as well as the ‘at a whim’ changes made by Secretaries of State keen to make their mark. The Green Party is opposed to creating more Academies and Free Schools and will support community, school and parent campaigns that share this aim. The Green Party will integrate Academies and Free Schools into the Local Authority school system. The Green Party recognises that the current mix of Local Authority, private, faith, grammar, academy and free schools reinforces social and ethnic divisions in society. A truly comprehensive intake and mixed ability teaching, coupled with equitable funding based on need, will extend equality of opportunity. We will therefore create a system that facilitates and encourages greater integration. The Green Party will abolish external SATS exams and the Year 1 Phonics Test. The concept of a National Education Service is relatively vague and still being worked on by the Labour Party. At its worst it could be top-down, restrictive and bureaucratic; at its best it could set up an entitlement framework across all sectors. Both Labour and Greens have to face the problem of the decline of local government both in terms of finances and democratic structures. The cabinet system has meant very little open debate about local schools, which used to take place in Education Committees, and scrutiny is often poor. Alongside this is a lack of public involvement with poor election turnout. How will national government, local government and governing bodies interact in the future and how can democratic accountability be enhanced? The National Education Service shall be accountable to the public, communities, and parents and children that it serves. Schools, colleges, and other public institutions within the National Education Service should be rooted in their communities, with parents and communities empowered, via appropriate democratic means, to influence change where it is needed and ensure that the education system meets their needs. The appropriate democratic authority will set, monitor and allocate resources, ensuring that they meet the rights, roles, and responsibilities of individuals and institutions. What are the ‘appropriate democratic means’ and who/what is the ‘appropriate democratic authority? In order to maximise engagement and good communication between parents, students, teachers and other staff and the wider community, there will be considerable efforts to ensure that all parties are democratically involved in the running of the school through School Councils and Governing Bodies. However, the decline of local authorities and the fragmentation of provision caused by academies, multi-academy trusts and free schools has resulted in developments to make up for that deficit. In many areas schools have set up their own support systems for school improvement and in-service education, independent of the local authority and funded by subscription from individual school budgets. The local authority retains core statutory responsibilities but the consortium takes up the rest. They often include academies and free schools as well as local authority schools and church schools. The problem is that their boards are often dominated by head teachers and there is little or no teacher, governor or parent representation. The local authority may have a representative on the board but do not have oversight and certainly not control. In many ways this model of mutual support and decisions made at the local level is something the Green Party favours but we need to think about how it could be democratised and how it would fit in with revitalised and well-financed local authorities. Technological solutions to problems created by technology, in the current economic system, which requires endless growth, are ineffective and inherently incapable of supporting sustainability and countering the global climate change crisis. 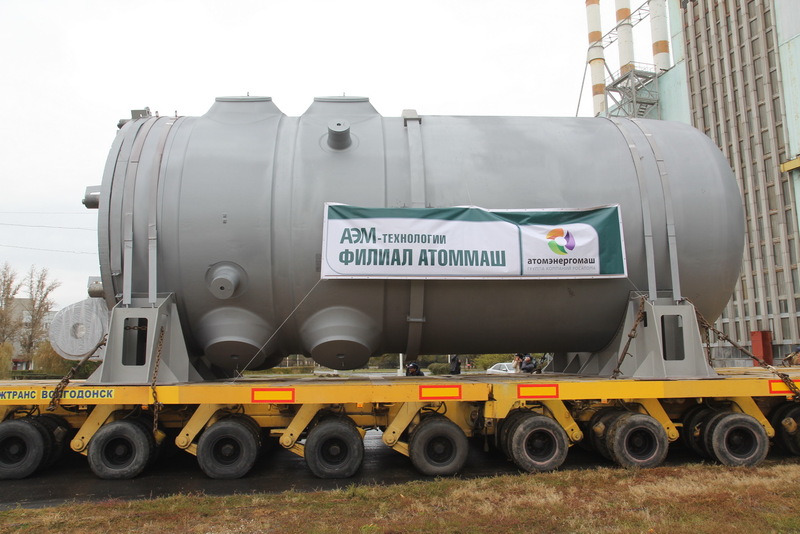 A prime example is the drive for small modular nuclear reactors (SMR) on a commercial scale. The UK government has supported a Rolls-Royce - led UK consortium to undertake SMR research and development. A review commissioned by the government reported in August in favour of the SMR initiative, suggesting that subsidies similar to those made available for offshore wind should be offered to encourage the SMR bid. A site in Wales at Trawsfynydd has been assessed for an SMR. 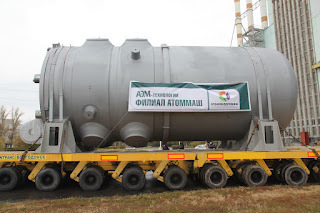 In the USA NuScale Power have plans for SMRs. Consortia in Canada, China and elsewhere are also working on SMR design. SMRs are essentially mini-versions of large nuclear power reactors like the new nuclear build at Hinkley Point C, generating about a tenth of the power. They are promoted as much cheaper and quicker to build. A key argument is that they would be made and assembled at a central location, then shipped to distant sites and easily installed where there is a lack of trained workers . They could run on alternative nuclear fuel, with claims for safety and security, and could help exports around the world when the UK leaves the EU. In reality, SMRs are a desperate techno-fix gamble by the nuclear power industry, faced with dwindling interest in large conventional nuclear power stations, and panicked by the plummeting cost of wind and solar power. No commercial SMR has been built anywhere. There are serious concerns over safety and proliferation that have been glossed over by the nuclear corporations. Carbon capture and storage (CCS) is a techno-fix where carbon dioxide is captured at a coal or gas-fired power plant, transported and stored in deep geological strata. The technology is unproven commercially. Tanuro  has discussed the problem of the long-term safety of storage, and the potential risks of release due to even minor earthquakes. The CCS fix is seen as allowing the burning of coal or gas for many decades ahead, a life-line for the industry. Like nuclear power, investing in CCS is a huge diversion from available safe and sustainable solutions – energy efficiency, wind, wave, tidal and solar. It is a false solution, undermining choices we already have. Fracking - hydraulic fracturing - is a techno-fix aimed at allowing ‘business-as-usual’. Naomi Klein  describes fracking as another change taking us in the wrong direction. Geo-engineering is a techno-fix: limiting sunlight reaching the ground using space mirrors, or seeding the oceans to trap more carbon dioxide. The fundamental driver of the techno-fix problem is the inherent requirement of the capitalist economic system for endless growth. Technology can be beneficial, but gains are outweighed by the negative impact of the techno-fix problem on global climate change. Although Michael and Joyce Huesemann  identify the powerful corporate and political interests that work towards uncritical acceptance of new technology, much less convincingly they cast doubt on limits of the scientific method. Kovel  hits the nail on the head: ‘Capital would have technology isolated from the manifold of social relations of which it is but an element’. Angus  identifies techno-fix as ‘ecomodernism’. It is important that Greens do not view science and technology as an intrinsic environmental threat. [could add ‘Much depends on how technology is used’]. The enemy is the capitalist economic system, which we need to strive to change. For decades Mexico has been characterised by corruption, poverty and inequality and increasing submission to the dictates of the ‘Colossus of the North’. The indigenous Zapatista rebels who captured the world’s imagination had been repressed and marginalised, and the PRD (Party of the Democratic Revolution) which seemed to offer a political alternative, had fallen victim to corruption and opportunism. But now, to the surprise of many, a popular and progressive candidate has won the presidential elections by a landslide. Andrés Manuel López Obrador, generally known by his initials as AMLO, emerged from the PRD but soon recognised the need to build a new and broader coalition. Twice before he had contested the elections and had been defeated by anti-leftist propaganda (and to some extent by fraud). This time, with his MORENA (National Renewal Movement), he conducted a different type of campaign centred on the fight against corruption and impunity and for social justice. His calm and measured tone has led to him being regarded as a sell-out by much of the traditional left, but it has mobilised voters (especially the young) on a scale not seen for decades. He also has a positive stand on environmental issues and fighting climate change. 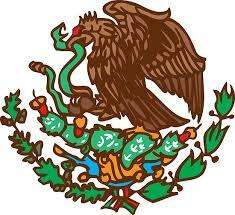 Mexican presidents are elected for a six-year term and there is a transition period from July 1st to December 1st. But AMLO, without indulging in radical rhetoric, has already used his stunning victory to take control of the political agenda. He has announced that he will halve his presidential salary and that of more than 30,000 high-ranking public officials. He will no longer use the official presidential residence (which will become a popular assembly hall) and sell the presidential aircraft. nationalisation and has attempted to build bridges with the US despite Trump’s hostility to Mexicans and the provocative border wall scheme. This judicious diplomatic stance has to be seen in the context of a massive and systematic right-wing offensive across the Latin American region. 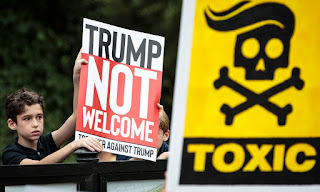 For several years reactionary forces, inspired and manipulated by Washington, have harassed, undermined and overthrown progressive and democratic governments. Victory for the conservative Macri in Argentina was followed by a concocted impeachment of democratically-elected Workers’ Party President Dilma Rousseff in Brazil, and now by a stitched-up legal case excluding the popular former president Lula (now arbitrarily imprisoned) from October’s presidential election there. Meanwhile, right-wing victory in Colombia’s elections (despite an encouraging performance by a popular left candidate) has reaffirmed that country’s role as a spearhead of US interventionism. The successor to the progressive President Rafael Correa of Ecuador, who ironically goes by the name of Lenin Moreno, has returned to neoliberal policies and also restored the US military base at Manta, which Correa had removed. Arbitrary sanctions and destabilisation against Venezuela have now been followed by open threats of military invasion, and violent destabilisation was recently attempted against Sandinista Nicaragua (so far without success). None of these progressive governments is without faults, but it is surely crucial to defend their sovereignty and independence and the right to build an alternative. In this context AMLO’s victory in Mexico goes completely against the grain, and it makes perfect sense for him to avoid providing any pretext for US meddling or hostility. In terms of foreign policy Marcelo Ebrard, AMLO’s nominee for Foreign Secretary, has proclaimed a return to the traditional Mexican stance of non-intervention and respect for the sovereignty of all nations (in the words of the great 19th-century Mexican indigenous President Benito Juárez, ‘Respect for the Rights of Others is Peace’). AMLO has just indicated that he will invite Donald Trump to his inauguration, but also Nicolás Maduro of Venezuela and Miguel Díaz-Canel of Cuba. In other words, no overt alignment one way or the other, but a salutary refusal to back aggression or interventionism. An important point to bear in mind is that July’s elections were not only for President but also for both houses of the Mexican Congress and for regional positions as well, and MORENA won a sweeping victory at all levels. This means that, unlike previous progressive presidents in Argentina, Brazil and some other countries, AMLO will be able to implement all kinds of projects without legal political impediment. Given Mexico’s regional importance (with 125 million inhabitants it has the second largest population in Latin America, and the third largest territory) this new orientation has great potential significance. 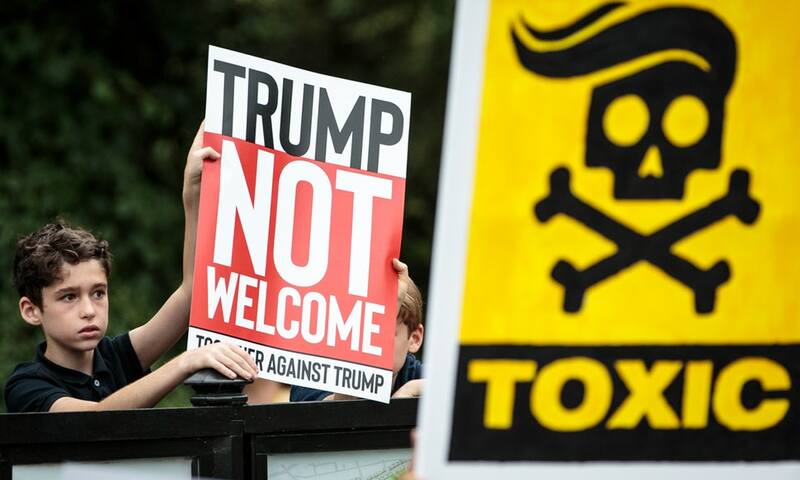 This article is based on a talk about the current political climate of which Trump is a worrying emblem, though I would not like to merely ‘virtue signal’ against Trump. If we limit our understanding of what he represents, we risk ignoring the conditions that created his rise to power. with votes, money correlates with and power, amplifying inequality and diminishing democracy. Just agreeing with this misses the opportunity to grasp what Trump represents and why, therefore robbing us of the ability counteract this dangerous man. Trump appears to signify the worst aspects of humanity. He is vain, egotistic, narcissistic, racist, sexist, transphobic, greedy and possibly a sociopath. He exploits the worst human emotions such as fear, anger, ignorance and hatred for power. His position and his existence is a symptom, not cause, of a very sick society. However, he was democratically elected and therefore represents ideas that were able to resonate with many of the American electorate. But this percentage is quite small, and this also highlights the dangers of having a disengaged electorate alongside a low-voter turnout. need to challenge Trump’s dangerous political agenda head on by offering inspiring alternatives. So, we need to be honest with ourselves and look at the record of our own country: saying ‘No’ to Trump is not enough. We need to oppose management and status quo politics, replacing that with an inclusive politics that does not leave people behind; that does not say, ‘to progress, we need to cut’. As a Green Party member, I believe the concept of ‘left’ and ‘right’ are out of touch and not equipped for the political battles of the future. The ‘left’ has an equally extractivist relationship with the earth but merely seeks to ameliorate the worst inequalities of distribution; ignoring the environmental costs for workers locally and worldwide where there are poor employment rights. We have not erased the destructive forces of capitalism but have merely exported them. It was recently reported that more that 200 people have died in the Mediterranean Sea in the last few days, trying to escape their own countries to find hope and shelter in one of the richest continents in the world. The Guardian identified these people merely as migrants, giving no impression of their lives, families, hopes, dreams and fears and no idea of the misery they are fleeing nor why they are risking their lives and their children’s lives. Tony Blair’s involvement in rendition programmes, kidnapping and torturing people during the Iraq war? We criticise Trump for denying climate change and pulling out of the Paris Climate Agreement, yet over half of the Labour Party just voted with this Tory government to approve Heathrow expansion, knowing that it will compromise our ability to meet our own climate targets. We criticise Trump for deepening inequality (by legislation that will continue to enrich the wealthiest in America and that will take away healthcare for the poorest) yet we do not confront the deepening inequality of our own country and the fact that the five worst boroughs for ethnic inequality in London are all controlled by Labour MPs and Labour majority councils.What are we doing about that? We need to recognise that the so-called progressive left has validated right-wing rhetoric and allowed this beast to grow. To challenge Trump, we must unapologetically relocate our own humanity. For the Greens, we do this by creating policy that is guided by four pillars – democracy, peace, social justice and the environment. So, criticise Trump and protest everything that he stands for. However, we must also fight the social, political and environmental injustices that happen globally and here, now. Challenge Trump but also enact the ideas, policies and activism to diminish his support and address the hypocrisies of our time. How much trade is necessary for adequate nutrition, health, shelter, and cultural development of populations? Which social groups benefit from trade and which lose, in which parts of the world? Who pays for the externalities, eg: damage to the environment? This article questions the benefits for the majority from capitalism’s globalised trade, suggesting trade should be selectively reduced. 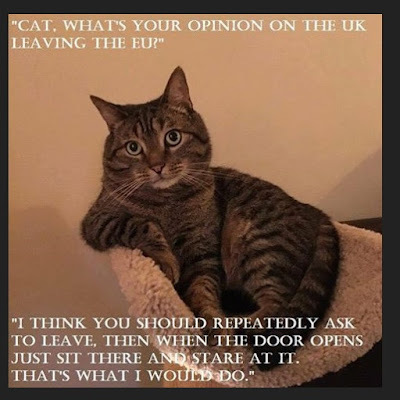 It is neutral on Brexit and is not concerned with the valuable small-scale trading, LETS schemes, neighbourly swaps, sharing and gifting – often outside the tax system and unrecorded in GDP. 2. Outlet for companies’ surplus when the domestic market is saturated. 3. Reduction of seasonal market fluctuations. 5. Production efficiency, stimulated by competition from cheaper imports. 6. Resource specialisation, so trade provides goods unavailable locally. 7. Innovation and R&D arise from competition among traders. 8. Investment (domestic and foreign) is encouraged by potential rapid returns from exports. 9. Jobs lost due to trade are replaced by new jobs. 10. Peace is encouraged by trade. Space precludes detailed discussion but most of the ‘benefits’ above (2,3,5,6,7,8) are oriented towards the smooth and profit-maximising functioning of capitalism. Clearly, the effects on humans and the environment depend on how investment, efficiency, specialisation and innovation are applied and in whose interests. Expanding choice (1) is often an illusory benefit if equally nutritious food is locally available, while imported foods often involve taking land on which food crops were previously grown by indigenous farmers for local needs. produced in each domestic economy with replacement parts easily available. Jobs lost through international trade (9) might be replaced by equally good jobs. But the effects of trade are haphazard; replacement jobs may be precarious ones, or unsuitably located. Peace through trade (10) relies on a country’s reluctance to endanger its own economic interests. However, this effect is at best selective; seizing control of another country’s resources by military force has sometimes been chosen instead of trade. What are the alternatives to high levels of international trade? excellent wines and even tea. Other currently imported crops might be grown here year-round in polytunnels or under horticultural fleece. Recently, scarce elements have been recovered from landfill mountains in Britain, easier than mining ores abroad. If electronic gadgets were not designed with a short life to maximise sales and profits, the need to extract and import the scarce mineral components would diminish. Restricting trade is often equated with isolationism; it need not be. We can embrace international sharing of ideas and knowledge in science, art, literature as exchanges among equals. Digital communication allows the meeting of minds without flights or expanding airports. The economic advantages of trade accrue mainly to industrial, mercantile and financial capital, at the expense of the majority of people and the environment. Workers have no say in what is produced and traded or its quality and social utility. The continuing history of imperialism exploiting developing countries to support profitable trade - conquest, land grabs, diseases spread to indigenous populations, clearance of forests, crop monocultures, mining and oil extraction that pollute, destroy and erode – all imposed with collusion of national elites (or by threats and assassinations, Perkins 2016) have been disastrous. There can be social costs from global trade, as described by (Norberg-Hodge 2011). creating new climate-friendly and socially useful jobs, working with trade unions to ensure a Just Transition. We can also make the shift away from trading goods that are less essential, most damaging to the environment and to societies. Tellinger (2013) suggests that abundance is possible if resources are free and shared across society - ‘if its not good for everyone its no good at all’. Perkins, J. (2016) New Confessions of an Economic Hitman, Oakland, CA: Berret-Koehler. Tellinger, M. (2013) Ubuntu Contributionism – a blueprint for human prosperity: Exposing the global banking fraud. June 2018, and the largest vote for anything ever recorded in the UK is to exit the European Union. Except, the Leavers lied. Their voters were misled, under-educated, and, well, just bitter about life. They didn’t know what was good for them. They were angry or racist or dead, or all three. University MPs. The People have spoken – time to get a new People. Claiming to speak for the 10% perhaps rather than the 1%, a lobby of liberal professionals who benefit from the opportunities afforded by the EU are extremely irate. Why should their parade be rained on? A second referendum must be held. One to put things right. Except that it wouldn’t put things right at all. The polls do not show any significant overall movement since 2016. What would a rerun do? A narrow Leave vote would probably engender a revived UKIP, and a hard Brexit would harden more. A narrow Remain win would face calls for a further plebiscite and again revive Ukip, or worse, as many conclude that voting truly is pointless. But, a second vote isn’t going to happen. The Tories will not concede one and, no one is going to make them. No one can. Greens are making a strategic mistake in expending our limited political capital running with Cable, his Lib Desperados and a coterie of washed-up Blairite chancers. If the Leave campaign excelled in “fake news”, it is now well-matched by dire warnings that by April Britain will run out of everything Much smacks of the panicked Scottish unionists during the independence referendum wildly warning YES voters that Doctor Who wouldn’t be on the telly any more. Don’t get me wrong: I campaigned and voted Remain. I was as disappointed by the result as most Remainers. My support was about countering the rise of racism and to fostering internationalism – but that particular ship has sailed. We need now to heal divisions and address the outcome, not wish it away. Our apparent rejection of the referendum only confirms the beliefs that led to the outcome in the first place. The environmental benefits of EU membership are significant, but often over-stated; the economics of Europe have long been definitively anti-environmental. The EU is one of the biggest free trade blocs in the world. How can such an institution fit with the urgent need to develop localised green economies and sharply reduce the transportation of ‘things’ across our crisis-stricken planet? 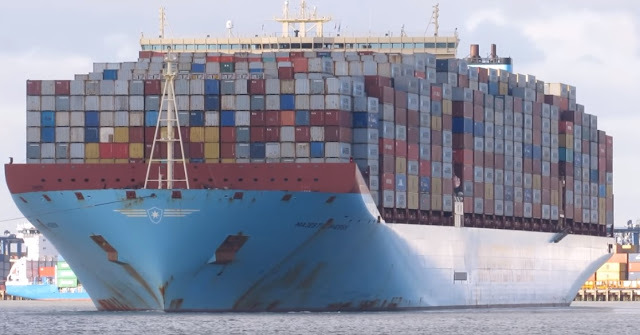 We are warned that huge queues of trucks will form at Dover post-Brexit, but consider what all these hordes of huge carbon wagons are doing day in day out right now as they carry their cargoes. In terms of social benefits, contrary to myth, the corporatist EU does not guarantee employment rights. Apart from the discrimination directives (which did not stop the Coalition introducing tribunal fees for discrimination cases at triple the norm), our employment protection regulations are almost entirely set domestically. The same goes for holidays, established by UK law in the 1930s and driven by trade unions, not international capitalists. By contrast, the EU was content to exempt Britain from key parts of the working time regulations. Greens talk of reforming Europe – but, nowhere in our policies is there anything beyond a bigger say for the Parliament in the workings of the Commission. Zero hours contracts and the gig economy, the housing crisis and near unprecedented social inequality have all prospered inside the EU. There may be no Lexit under Theresa May, but there is no Lemain either. We have a historic opportunity and an urgent need to portray a post-Brexit Green society: with wealth redistribution, sustainable agriculture, co-operative enterprises, public ownership of clean energy and transport, and the re-industrialisation of our economy using small-scale, local enterprises to manufacture more of the goods we use. This would provide an alternative to the dark future being fashioned by the Tories right now. Brexit will be a huge challenge, no doubt. There will be significant disruption, especially in the first few months. But much, much worse is coming very soon in any case as the environmental and resource crises deepen across the entire planet. Greens can squander this precious time tilting at electoral windmills. Or we can focus on advocating for the social resilience and economic infrastructure we need for civilised society to survive and thrive. The choice is ours. I believe passionately and intellectually in the UK’s continued membership of the EU. We should continue to campaign to reform its less democratic and bad financial practices. No fewer than 1054 barristers and QCs pointed out that, in their joint Opinion, the referendees were misled and that the result was not mandatory. Here is their text in full. We are all individual members of the Bars of England and Wales, Scotland and Northern Ireland. We are writing to propose a way forward which reconciles the legal, constitutional and political issues which arise following the Brexit referendum. The result of the referendum must be acknowledged. Our legal opinion is that the referendum is advisory. The European Referendum Act does not make it legally binding. We believe that in order to trigger Article 50, there must first be primary legislation. It is of the utmost importance that the legislative process is informed by an objective understanding as to the benefits, costs and risks of triggering Article 50. The reasons for this include the following: There is evidence that the referendum result was influenced by misrepresentations of fact and promises that could not be delivered. Since the result was only narrowly in favour of Brexit, it cannot be discounted that the misrepresentations and promises were a decisive or contributory factor in the result. The parliamentary vote must not be similarly affected. The referendum did not set a threshold necessary to leave the EU, commonly adopted in polls of national importance, e.g. 60% of those voting or 40% of the electorate. This is presumably because the result was only advisory. 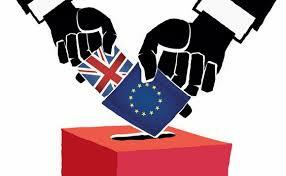 The outcome of the exit process will affect a generation of people who were not old enough to vote in the referendum. The positions of Scotland, Northern Ireland and Gibraltar require special consideration, since their populations did not vote to leave the EU. The referendum did not concern the negotiating position of the UK following the triggering of Article 50, nor the possibility that no agreement could be reached within the stipulated two year period for negotiation, nor the emerging reality that the Article 50 negotiations will concern only the manner of exit from the EU and not future economic relationships. All of these matters need to be fully explored and understood prior to the Parliamentary vote. The Parliamentary vote should take place with a greater understanding as to the economic consequences of Brexit, as businesses and investors in the UK start to react to the outcome of the referendum. For all of these reasons, it is proposed that the Government establishes, as a matter of urgency, a Royal Commission or an equivalent independent body to receive evidence and report, within a short, fixed timescale, on the benefits, costs and risks of triggering Article 50 to the UK as a whole, and to all of its constituent populations. The Parliamentary vote should not take place until the Commission has reported. In view of the extremely serious constitutional, economic and legal importance of the vote either way, we believe that there should be a free vote in Parliament. provides a longer, more balanced view and the joint power to deliver at international level. Thirdly, it’s worth studying the power of the media. The business-driven right is much better funded than the eco-socialist left. People with secure assets and incomes can lie and deceive with impunity - if caught out, they can just fade away. The leavers have dominated the public debate, placing huge weight on the 56% that voted to leave, and demonising or ignoring the 48%+ that, despite lies, threats and false promises, voted to remain. It troubles me that all BBC staff always say when we leave not if : and what will happen not would. Fourthly, who’s in charge? The Government’s leader for leave was a remainer, propped up by Northern Irish MPs whose region voted to remain. The leader of her majesty’s opposition was/is an EU sceptic. Our MPs collectively are remainers by over two to one. Parliament has been unable to reach an agreed position. When that happens, power must pass back to the people. Fifthly, what next? A recent poll suggests people in 100 constituencies that voted leave, might now vote to remain. This will make for fascinating Party conferences, Will Theresa be able to avoid her party’s deep divisions? Will Jeremy manage to avoid votes on the Peoples’ Vote? Will Libdems have any credibility? Will Greens stick to remain and reform policies? Finally, what should eco-socialists do? For once, we are preaching to a constituency that might agree with us. Whatever your starting positions, the Peoples’ Vote is compelling, as a matter of simple Democracy. Wherever you are, please campaign and vote for a second referendum. If that results in remaining in the EU, I’ll be very happy. WILL THE HOLISTIC REVIEW MAKE THE PARTY FIT FOR THE 21ST CENTURY? Why did the Green Party need to review its governance ‘holistically’? It has existed for 45 years. Over that time, we have gained just one MP, three MEPs, a lord, two London Assembly members - and fewer than 200 councillors. With the environment shooting up the agenda, our performance has hardly been stellar. When I joined the party five years ago, membership, after many ups and down, had reached 14,000. This growth was related to the fact that the party had gained its first MP, Caroline Lucas, in 2010, which finally gave the party national profile. My first contribution as a Green party activist was to join the Governance Review Working Group (GRWG). It had been set the task of revising the 20-year old constitution, but barred from considering delegate conferences, the policy-making process and the role of the Leader or Deputy Leader. Ironically, the move to delegate conferences had been mooted as necessary if the party were to reach 25,000 members – which was thought highly unlikely. In 2015, the membership reached 68,000. A key driver of the governance review was a recognition that the party needed to move from being run by an executive of elected volunteer coordinators, doing unpaid work 35 hours a week. We owe a debt of gratitude to those members who had kept the party going for years, with a severe shortage of funds. Then the BBC refused to give the party a place in the election television debates and the injustice of that led to the Green Surge. And with that came a lot of money – which the party was not equipped to handle. £2m is a sum that needs to be professionally managed and could pay for many staff with skills and experience to run the party, displacing the overworked and unpaid coordinators. The GRWG was a reflection of why the party needs to move from volunteer to professional management to succeed. The emphasis on the make-up of the group was on representation of a range of different groups in the party rather than those with the skills to undertake serious tasks that needed expertise –governance, consultation techniques, and chairing to achieve consensus. And it’s not just expertise – volunteers cannot be called to account for failing to undertake tasks in a timely and competent manner. After four years of an uncomfortable, unproductive and - frankly - flawed process I felt the time had come to think again about how to get meaningful change in our governance structures. And I was not alone. So, working with Peter Frings from Stroud Green Party, I established the outline of a proposed ‘Holistic Review’. The review would need to happen quickly, have members representing a range of interests and relevant experience and make authoritative recommendations. At Autumn conference 2017, the GRWG was stood down and the Holistic Review initiated. Within three months, a small team of elected members had reviewed applications and appointed by interview twelve commissioners; and here we are less than nine months later with a completed report, a motion to conference and a process for engaging with members to consider amendments to their motion before a referendum after Spring 2019 conference. If you haven’t read the report, I recommend you do. It’s an easy read. It captures thinking from a wide range of members. It makes many interesting recommendations. A Council to act as the representative body of the regions, politicians, marginalised groups and independent members. A new Political Executive with the powers to make decisions about political activities. GPEx to become a small board of directors with the expertise required to oversee a professional team running an organisation with a seven-figure budget. Recognising that the party has many members willing to offer skills but that many would not want to stand for election so where specific skills are required, make appointments to some posts against agreed criteria with selection interviews by elected representatives. Substitute most standing committees with Task and Finish Groups which will meet for fixed periods of time and report to Council for decision. Require Self-Organising Groups to be formally constituted and to be able to demonstrate active membership with regular reports. Develop training programmes for members to capitalise on their energy and commitment to the party and to winning elections. The report also has omissions where sufficient detail has not been provided because of lack of time. The report completely fails to mention delegate conferences, which is a key way of engaging members who can’t attend conference in what should be debated there. That’s why it’s good to see the proposed motion on delegate conferences on the First Agenda for Autumn conference. It is interesting to note major amendments focused on increasing the representation of marginalised groups at the expense of the regions on the Council, and reproducing the current dysfunctional structure of GPEx. DO NOT SUPPORT THIS OR SIMILAR AMENDMENTS. Assuming the thrust of the Commission’s report is accepted at conference, its role does not end here. First, members of the Commission have been responding to comments on the members’ website. Second, a transition team is to be set up to work on the implementation and details such as the functions of the Council before bringing a final motion to Spring conference 2019 which, if passed, will go to a referendum of members. Get involved in the work of the transition group to help ensure the HRC’s good work is not lost. 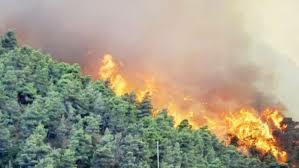 We note the 7 August report from the renowned Stockholm Resilience Centre, widely reported in the press from 8 August, outlining a “hothouse Earth” scenario in which natural mechanisms that help store the planet’s carbon instead begin emitting it – producing runaway global warming. The heatwave indicated the increasing problems agriculture and water supplies face. Since 2014 we have experienced four of the hottest years on record. 2017, the UK’s fifth hottest recorded year, saw further increases in global CO2 emissions. Capitalism’s fossil fuel reliance is subjecting the planet to disasters associated with rising sea levels, wildfires, droughts and crop failure. Radical international action is needed: we must take a lead by implementing democratic public ownership and planning for a ‘just transition’. We can slash emissions while raising living standards: creating millions of useful, public, high paid, unionised jobs, and transforming environmentally damaging ones through reskilling and planning. • A national climate service/strategy, manufacturing, installing and training in renewable technologies, facilitating a rapid shift away from fossil fuels. • Nationalising energy supply/generation and the Big Six to create an integrated and democratic national energy system. • Nationalising public transport, with bus, rail and tram part of an expanded and democratic system. • A public program of insulation and building zero-carbon council housing. • Ending fracking, fossil fuel extraction and airport expansion. We will encourage collaboration with climate change and environmental campaigners; work with unions to build links and campaigns with workers in relevant industries; produce model materials to help. We are living in turbulent times politically, with underlying economic turmoil exacerbated by the chaotic consequences of accelerating climate change. The capitalist system, dependant on never ending exploitation of resources to maintain constant growth, is clearly incapable of alleviating human-caused climate damage; and the same goes for its political mouthpieces. Many people have recognised this and are attempting to deal with it in various ways – through pressure groups, campaigns, political parties and individual actions. A unifying factor is the perception that any useful attempt at a solution has to involve a reorganisation away from capitalist economics and policies. People from a variety of Green and/or Left political organisations and traditions have formed an Ecosocialist Network to include people from various political parties or none. Green Left, a left tendency within the Green Party of England and Wales decided to support this step. We share the view that there is a political opening for Ecosocialists to get organised, and indeed an urgent need to make this happen. We welcome all those who can contribute to building the network, including those involved in local groups and our Green friends who have joined Labour to support Corbyn. In September 2017 TUC Congress took the historic step of unanimously passing a motion on climate change, noting that it is “..driving unprecedented changes to our environment”. The motion blamed “..incoherent UK government policy” for “..undermining measures to achieve the UK carbon reduction targets.”. TUC General Secretary Frances O’Grady’s statement of 5th June 2018 seems to be equally incoherent in calling for an immediate go ahead to building a third Heathrow airport runway. She advocates this because it “will create thousands of high-quality jobs and apprenticeships” and claims this will benefit local communities. Levels of air pollution, noise pollution and associated diseases are already high around Heathrow. Those who suffer most from this are the workers in the airport, workers in its associated industries, and often their families, if they live nearby. Heathrow expansion will increase pollution and the number of people exposed to it. As well as this, Heathrow expansion will increase greenhouse gas emissions which are already exceeding UK government reduction targets. Attempting to insist that the possible new jobs will be ‘high quality’ and paid a living wage, although a justified aim for is hardly adequate compensation for the global and local damage that is likely to be caused. It is sad that Frances O’Grady did not take the opportunity to advocate alternatives such as the 1 million climate jobs proposals of the Campaign Against Climate Change. Thousands of high-quality jobs and apprenticeships could also be created by promoting and developing low carbon technologies and infrastructure. Furthermore, the associated community benefits need not be confined to the relatively affluent South East. The TUC should be living up to its aim “to make the working world a better place for everyone”, not advocating retrograde proposals such as Heathrow expansion. P.MURRY, LONDON GREEN PARTY TRADE UNION LIAISON OFFICER PP : THE GREEN PARTY TRADE UNION GROUP. and dive back again, so waves wash over me. Just in time to miss the train again. From a hole in my head. The Green Party Trade Union Group is part of the Green Party of England & Wales, FREE Membership of GPTU is open to any current members of GPEW. Contact secretary@gptu.greenparty.org.uk. or join at the GPTU conference stall. It is hard to say anything on Israel, anti-Semitism and human-rights without risking accusations of the ‘with us or against us’ variety, and this is very damaging to debate, activism and the possibility of righting wrongs, i.e. 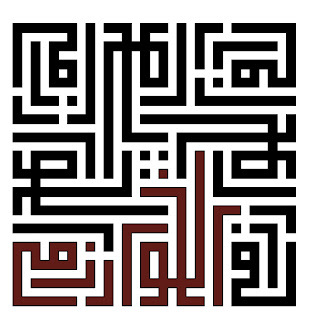 to achieving a just and lasting peace. However, just as US and British peace voices are vital when our countries invade Iraq, Syria, Argentina or anywhere else, so are Jewish voices when others are attacked by people who claim to speak for us, without our consent. If we don’t speak out, we are allowing it to happen in our name, our silence will be taken as permission. If we do speak out, there is a risk of playing into the narrative that conflates Israel with Judaism with Zionism. While rejecting both, I feel a responsibility to speak out, partly based on wrong expectations from others, partly from the experience of solidarity and its absence. This is a personal view. 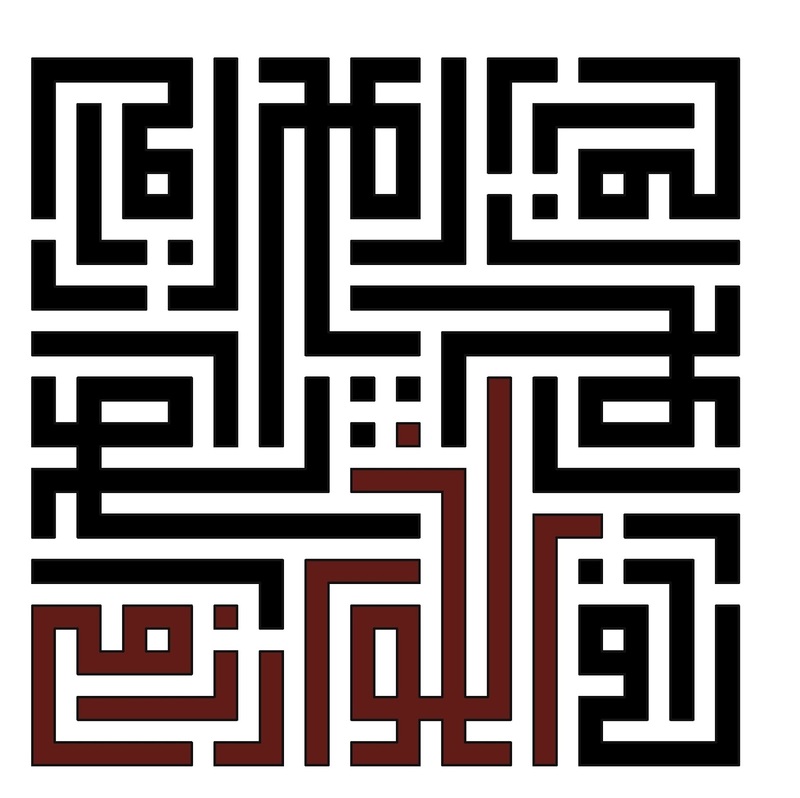 When Muslims speak out against Daesh, or Christians against the alt right, they show solidarity, and reflect the extent to which they feel they should be their siblings’ keeper. Nobody deserves to be judged on the worst thing they ever do, never mind the crimes of their co-religionists. Being Jewish isn’t like being from a country, but it is my history, my identity as a victim of history, my humanity, in the sense of identifying as and with people who have been made victims because of where or who or what they are. Victimhood may explain fears, but it does not excuse violent, illegal and discriminatory actions. Jewish heritage comes with many things, including both a history of life-threatening persecution as well as the unfair privilege of a so-called ‘Right of return’ to a country whose government wishes to rule a Jewish state, and to exclude others, even those, who lived there for generations. I consider it important to keep sight of both those legacies, seeing only one side of the story generates fear and ignorance, both of which make for easy manipulation. When Europe gifted land that wasn’t theirs to give, to get rid of a people it regarded as problem, it set the scene for predictable and inevitable conflict, and grave harm to both uprooted peoples. The story of a land without a people for a people without a land is wrong on every count, yet it’s a comforting, compelling narrative that many of us have had to unlearn, along with a lot of our trust in our sources of information, also known as our families and communities. This is difficult, but pales to insignificance compared with my Jewish forbears and my Palestinian contemporaries. The UN recognises this, with its scores of resolutions, shamefully vetoed by those who benefit from occupation by selling weapons and by having an unsinkable aircraft carrier in the Middle East. There is a well-founded fear that pogroms and genocides that have happened before can happen again. This makes many, many people feel the need for a Jewish state to run to. This overwhelming fear is my experience of Zionism. However, the perceived need for a Jewish homeland somewhere, raises more general questions of identity, homeland, and the right of any state to select citizens, or impose religion. For Sikhs in Khalistan, Rohingya Muslims in Myanmar, Jews and Palestinians, and far too many others these are not academic issues but matters of life and death. Everyone deserves somewhere to belong, be and feel safe, worship if and as they wish. Nobody achieves this by denying it to others. Anyone who knows what it’s like to be afraid may recognize that for some of us, some of the time, fear suspends both rationality and compassion. Peace-making is therefore difficult, and those who say it is impossible deny their responsibility, and the humanity of the other. Nobody chooses their history, but we can choose some of what we learn from it. Jewish suffering in Europe before 1948 may set the scene but does not excuse suffering imposed on Palestinians ever since. Comparing the two is offensive, inaccurate, and unhelpful, since it obscures any other message and polarizes people, playing into the hands of the powers that divide and rule us. This is unwise, but not criminal. The media attacks on Jeremy Corbyn and now the Green party’s Shahrar Ali do not come from sources that care about Jews or other Semites, but from the same papers that called for refugees to be repatriated to the countries they were fleeing from in the 1930s and are still doing so now. By stifling, sensationalizing and polarising debate their efforts can only provoke the very resentments they claim to oppose. It cannot be racist to talk about human rights, and it would be at best patronizing to demand a different standard in say Israel or Saudi Arabia to that which is acceptable elsewhere. It is right to speak out against unprovoked violence, whoever it is perpetrated by and against. This concern means everything when applied universally, when used selectively to castigate a particular group, this can lead to various phobias and even hate crimes. The point rarely raised about hate crimes is that the relevant characteristic for study and prosecution is not that of the victim but of the perpetrator. That the media frenzy against Corbyn have gained so much traction shows the appalling state of the media. Although I speak for myself, I am one among many Jews appalled at the collusion of an establishment that claims to speak for us. It’s outrageous that those who preach free trade try to deny consumers information and choice about their supply chains. Many who boycott Occupation goods (often all Israeli goods, as labelling often fails to make any distinction) also boycott corporate abusers such as Nestle, Coca cola, arms investments and other unethical practices, and are right to do so, on the basis of actions that can be changed, rather than identities that can’t. For at least two years, a focus of dispute has been a long guidance document including seven examples about Israel, four of them especially contentious. The long document appears on the website of the International Holocaust Remembrance Alliance (IHRA). Yet its 2016 delegate meeting agreed only a short definition without any examples. Back then, four of the examples were criticised by our Jewish-led campaign group. For example, ‘Drawing comparisons of contemporary Israeli policy to that of the Nazis’ is supposedly antisemitic. Yet Israel’s treatment of Palestinians has instructive comparisons with the racist Nuremberg Laws; likewise the siege of Gaza with Nazi-imposed ghettos. Such comparisons have been drawn by Holocaust survivors (especially Hajo Meyer) and have been explained in the Israeli newspaper Haaretz. Are they antisemitic? 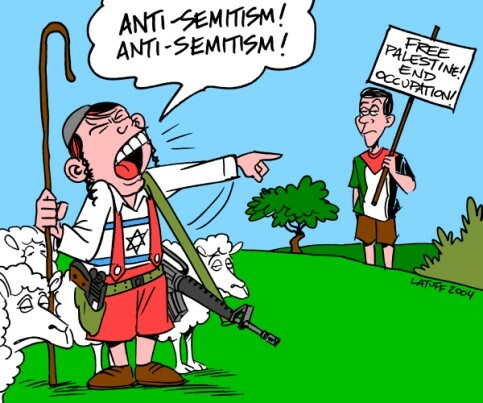 Deploying the four contentious examples, pro-Israel groups have repeatedly made false accusations of antisemitism against pro-Palestine activists, especially those in the Labour Party. In July 2018 the Labour Party leadership rightly adopted a Code modifying the examples, rather than simply adopt them. Jewish pro-Palestine groups have led the campaign to defend the Code. That defence has been elaborated by the Jewish academic Brian Klug. Regrettably, in September 2018 the Labour Party NEC voted to accept the IHRA guidance with all the examples, plus a weak caveat about freedom of expression to criticise Israel. Those elements are incompatible: the four contentious examples provide weapons for more disciplinary action against the Party’s pro-Palestine activists, while the caveat might protect their criticisms of Israel. Some NEC members supported the decision in the hope that it would soften the Party’s internal conflict, but this will surely deepen, especially as more CLPs pass a model motion defending the July 2018 Code against the pro-Israel lobby. Why such intense conflict over those four examples? Listen to those who have led the false accusations: ‘Had the full IHRA document with examples been approved,…. thousands of Labour and Momentum members would need to be expelled’ (Jewish Chronicle, 25.07.18). Likewise ‘antisemitism’ accusations would apply to thousands of Green Party members (including Jewish ones) who have opposed the Israeli regime. In particular, the well-known phrase ‘apartheid Israel’ has been targeted as antisemitic according to this IHRA example: ‘Denying the Jewish people their right to self-determination, e.g., by claiming that the existence of a State of Israel is a racist endeavour’. This example applies to the entire campaign for Boycott, Divestment and Sanction (BDS); according to its 2005 Palestinian call, BDS will continue until Israel ends its apartheid, settler-colonial regime. The example also could apply to the Green Party’s 2008 conference decision supporting the BDS campaign. The taboo on the ‘apartheid’ label has been deployed to undermine Palestine solidarity events. In December 2016 the full IHRA guidance document was adopted by the UK government. Following the adoption the Department for Education warned all universities that they must apply the IHRA criteria and that ‘antisemitic comments’ may arise during Israel Apartheid Week 2017. Accommodating the government, some universities denied or cancelled permission to student groups for Palestine events. More subtly, many universities imposed bureaucratic obstacles or speech restrictions. Student activists have had no recourse to any formal procedure for defending their right of free assembly and expression. This political use of the contentious examples has been predictable. The full document originated in 2004 from the American Jewish Committee, a US pro-Israel lobby group aiming to counter ‘the one-sided treatment of Israel at the United Nations’. According to the main author of the antisemitism guidance document, Kenneth Stern, the ‘apartheid’ label is ‘an accusation linked with antisemitism’. Israel’s defenders have attempted to censor the label because apartheid is a crime under UN Conventions. Facing the campaign of smears and intimidation, we need an anti-racist response. Thirty Jewish organisations in a dozen countries have issued a Global Jewish Statement, which urges ‘our governments, municipalities, universities and other institutions to reject the IHRA definition’. As they argue, the text is intentionally worded to suppress legitimate criticisms of Israel. It ‘undermines both the Palestinian struggle for freedom, justice and equality and the global struggle against antisemitism’. Numerous BAME groups and Palestinians have denounced the IHRA document on several grounds. In particular, it suppresses the Palestinians’ own narrative of being dispossessed by a racist colonisation project. As this shows, the contentious IHRA examples are racist against Palestinians. The above example also portrays Jews as a nation seeking self-determination in the state of Israel; this is a racist stereotype of Jews. When Jewish pro-Israel groups try to restrict criticism of Israel, moreover, such efforts increase resentment against Jews and feed antisemitic conspiracy theories. The Green Party should join the above groups in denouncing the smear campaign and the IHRA’s contentious examples as prime weapons. Yet some Green Party members have advocated a late motion accepting the entire IHRA guidance document. For identifying anti-Semitism, the motion refers to ‘the overall context’ of any statement – yet strangely ignores today’s context. Namely: antisemitism has been weaponised in order to undermine the Labour Party leadership and to promote false allegations against pro-Palestine activists (including Shahrar Ali). The late motion accommodates and sanitises that smear campaign. Both should be rejected by all anti-racists. For similar reasons, ‘antisemitism training’ must discuss how best to define antisemitism. Which criteria would be anti-racist or racist? Without such discussion, training may simply promote the IHRA guidance, thus intimidating participants or deterring participation. 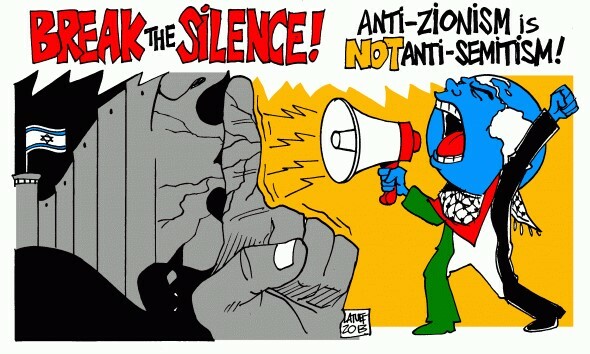 In all those ways, let’s defend the Palestine solidarity movement from political intimidation in the guise of opposing antisemitism. This anti-racist stance is essential for distinguishing real antisemitism from false accusations. The author has participated in several Jewish pro-Palestine organisations since the 1980s. In particular, Free Speech on Israel was established in April 2016 to counter the ‘antisemitism’ smear campaign. He also participates in the British Committee for the Universities of Palestine (BRICUP) and the Campaign Against Criminalising Communities (CAMPACC).